Chag Sameach from the Greater Miami Jewish Federation! As you enjoy Passover, the Festival of Freedom, take a moment to reflect on the many blessings of a strong Jewish community. Thanks to your support of the Annual Federation/UJA Campaign, we are able to help people in need in Miami, in Israel and worldwide. 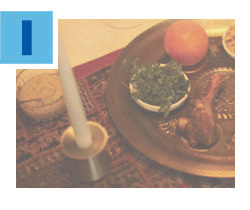 Wishing you a happy Passover! Stand strong against anti-Semitism. Stand strong against hate. Never again. 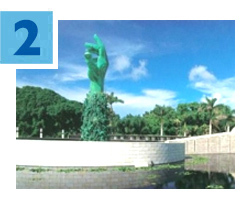 Join the Greater Miami Jewish Federation on Sunday, April 23 for an Interfaith Community Gathering at the Holocaust Memorial Miami Beach. The event will commemorate Yom HaShoah — Holocaust Remembrance Day. Together, we will remember the six million Jews who died in the Shoah and honor those who survived. Click here for details. 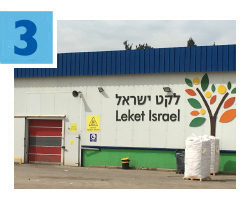 Thirteen members of Miami’s Jewish community recently spent a week in Israel observing the work of Federation's Women’s Amutot Initiative and Israel and Overseas Committee. The whirlwind trip included site visits to nearly 30 non-governmental organizations (NGOs) and Federation beneficiary agencies throughout the country. The journey provided meaningful conversations, information and context on the many diverse challenges facing the country today. Over the past 15 years, Miami's Federation has contributed nearly $4 million in direct allocations to help improve Israeli society. Read more. Federation Gardens, which serves low-income senior citizens, will soon be accepting pre-applications for their waiting lists. 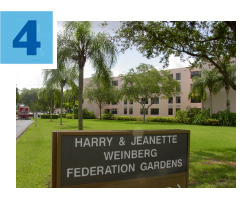 A HUD-required lottery system will select 300 names from a pool of pre-applications for the Federation-sponsored housing, located at 10905 SW 112 Avenue. Applicants must be 62 or older, and/or mobility impaired, and have an annual income of no more than $24,850 or $28,400, for singles and couples, respectively. Pre-applications are available at Federation Gardens’ office from Monday, May 15 to Friday, May 19, and must be returned or postmarked by Friday, May 26. Mailed pre-applications are due Friday, June 2. For further information, contact Maureen Greene, Manager, at FGK@bellsouth.net or 305.279.1708. 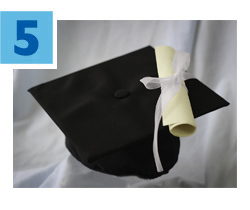 With support from the Annual Federation/UJA Campaign, Jewish Educational Loan Fund (JELF) is now accepting applications for interest-free loans for higher education for Jewish students in the Miami-Dade County area. Since 1961, JELF has loaned $10 million to more than 4,000 students. As college tuition rates continue to rise, this service is more important than ever. Applications, due April 30, are available here.